It would seem logical to me that every vase yearns for the flowers that it was meant to contain. That is after all the reason that it was created. 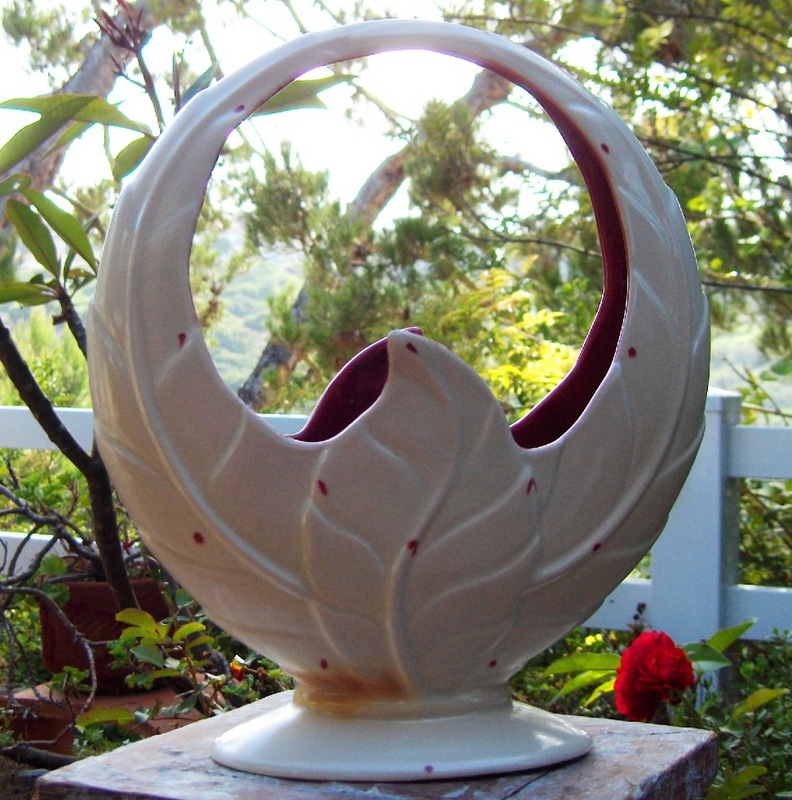 This lump of clay was formed into a vessel, adorned and decorated, fired and finished all in preparation for the day when it would hold the blooms that it was designed to hold. 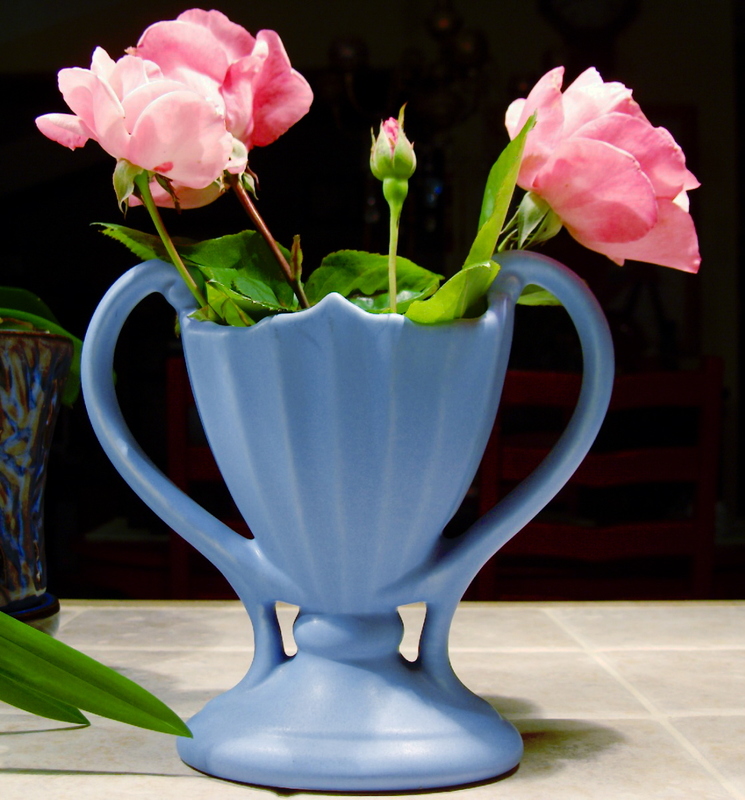 This lovely blue vase seems satisfied that it holds a small bouquet of roses. In fact if you watch carefully it seems to be glowing, glowing with the pride of completing its purpose. 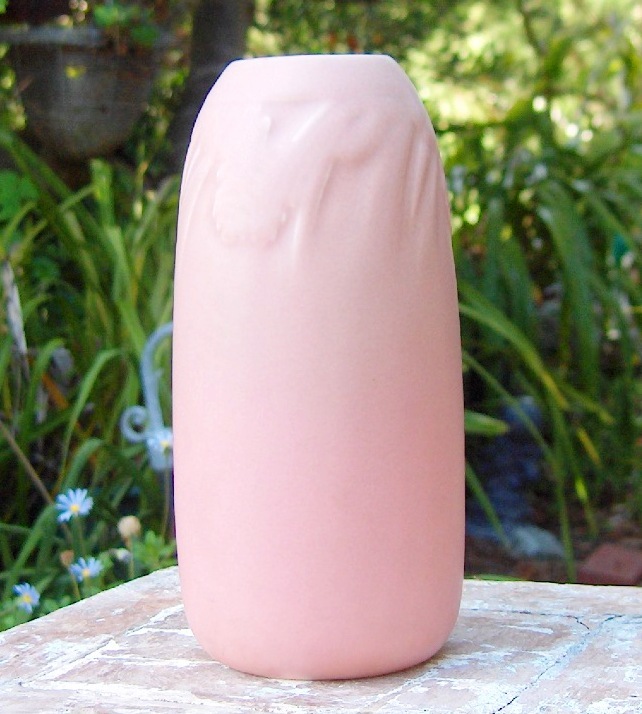 Unfortunately not all vases have the same fulfillment as our lucky vase pictured above. In fact a number of such items waiting to be fulfilled will be on display and available for purchase today at the Long Beach Antique Market. The Long Beach Antique Market is held in the Veteran’s Stadium Parking Lot located just off North Lakewood Boulevard and East Conant Street from 6:00 AM until 2:00 PM. Billy Blue Eye Pottery is located in space # A 853 under the green and white tent. Click here for a 10% off Admission Coupon. These three vases along with over 250 more beautiful vessels from Roseville, Van Briggle, Weller, McCoy, Catalina Potteries and 20 more of your favorite companies are waiting for their own bouquet. 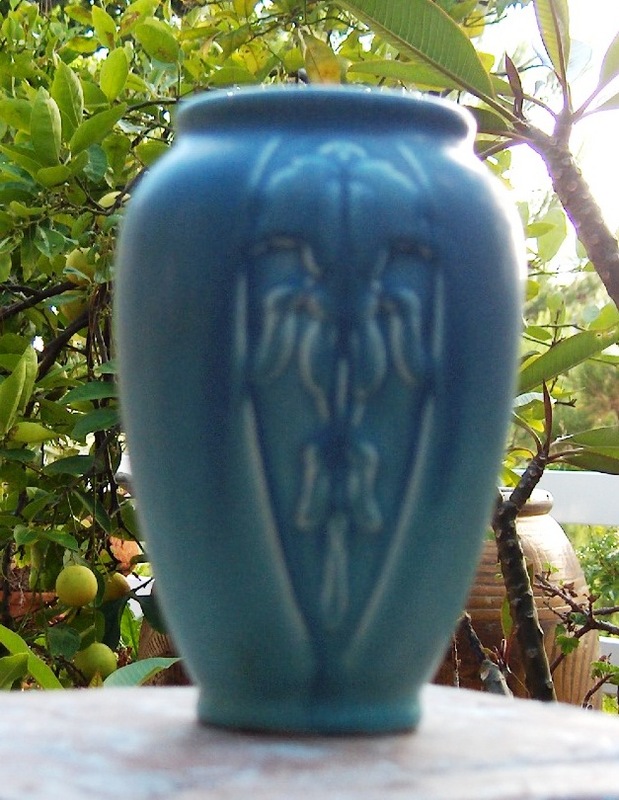 Would you like to make a vase happy today?